This week's giveaway is the new book from Robin Atkins "The Complete Photo Guide to Beading". You can check out Robin's blog here. This book shows you all the techniques with step by step pictures of not only jewelery making but weaving, stringing, and using beads in embroidery. It is an 8 X 10 soft cover with 244 pages. Suggested retail is $24.99 US or $27.99 Can. 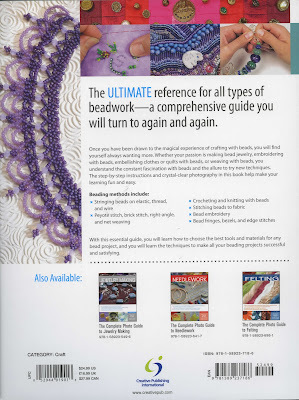 It showcases 28 projects as well as tips on choosing the best tools and materials for your future bead projects. I particularly like the embroidery ideas. I would love to add beading to a painted canvas. US or Canadian residents only. 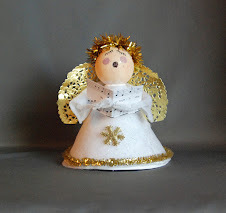 I will make the draw on Friday Dec 7th/12 so get your entries in by Thursday 11:59 pm. 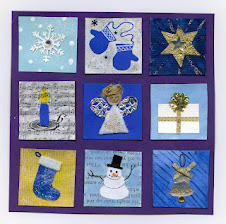 Thanks to my friends at Creative Publishing International for sponsoring this giveaway. 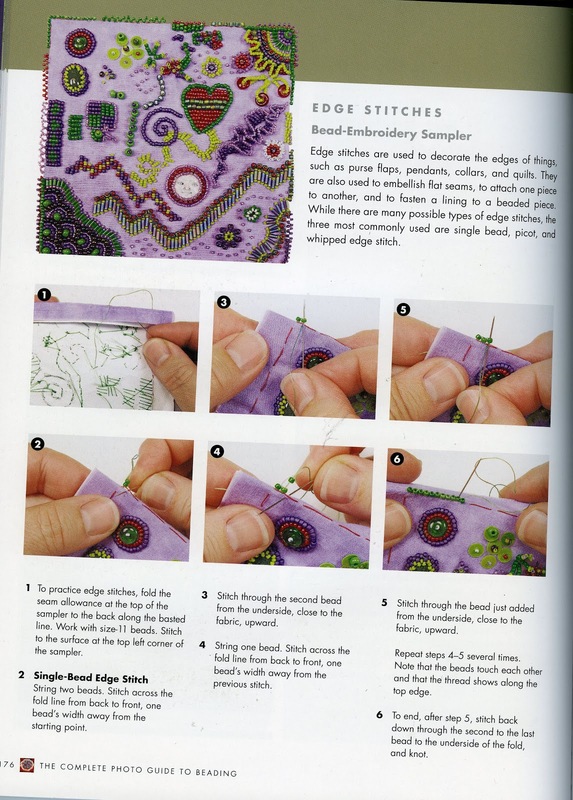 Love the embroidery - I would love to learn to bead! This looks great. 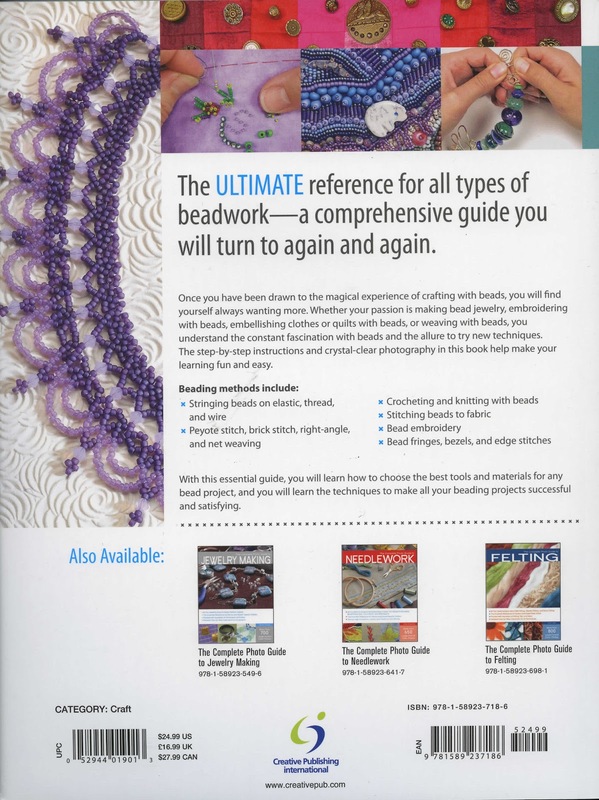 I have been looking for a good book on beading. This might be what I need to make a dent in the beads I keep collecting! Thanks for the tip -- I just came back from her blog. The beadwork is inspiring!! I am moving more and more to beading techniques in my jewelry work..this would provide a useful guide.. I have always thought I would like to get into beading...this looks like a good opportunity. Wonderful! I would love to get into beading. Such beautiful work! I would love one of the books! I would love to win this, I have always wanted to try beading. I like beading, it would be nice to win! I have done some beading on a small loom and enjoyed it. I lived in the NWT for 3 years and learned some different techniques. I was given a beaded baby belt when I had my son - it is gorgeous. What a wonderful giveaway! Would love to get baCK TO beading. This would be a marvelous win. Thanks for the giveaway and Merry Christmas! I would love this book. Then I can use all the beads I have been hording! So far I keep have the kids use pipe cleaners with the beads. I LOVE your site!!! Thanks a million for all of the creative ideas. My 6 & 7 year olds love to do art projects. You rock. On another note I've always wanted to learn beading. What a beautiful book. Did I mention I love books?! Ha! I am working on a Christmas stocking for my newest granddaughter and tried my hand at doing some beading/embroidery....leaves much to be desired. THis book would have been so handy, would be great to read before the next project to have better results. My daughter & I are just getting started with more complex beading. I would love to learn some of these techniques. LOVE your site! I agree, the beading/embroidery images are fantastic! Please include me in your drawing. I would love to have one of the Bead Books. 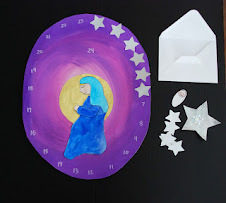 Love your blog, and save many of the posts for VBS ideas. Also, many things are fun to do with out Grandson. I would love to win this as I've always wanted to learn beading! 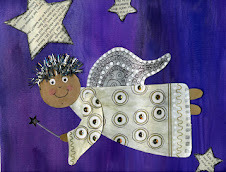 I would like to thank you for your inspirations and all the art projects that you have helped me with in my classroom! Thanks for hosting this giveaway! 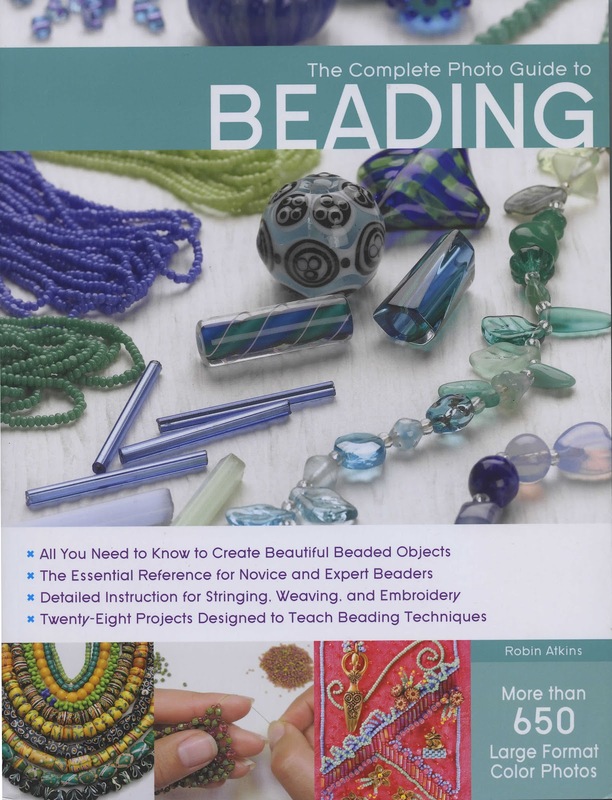 What a wonderful book on beading! This looks great! I'd love to learn how to create my own jewellery. Something I could do with my kids! What a great book! I really wish I could be one of the lucky winners! What a great book! Thank you for the giveaway. oops, missed the deadline. Good luck to whoever wins the book!